« Is it OK to buy a fake Rolex, Prada, or Burberry? Suarez broke the rules to give his team a chance to win a game that would have been lost had he not. Cheating? In golf, breaking the rules to win a match would universally be considered cheating. On the other hand, in American football breaking the rules is part of the game: if a defensive back pushes a receiver to prevent a touchdown pass he’s broken a rule, incurred a penalty, like Suarez, and praised for his act. Ethics doesn’t provide a clear answer. 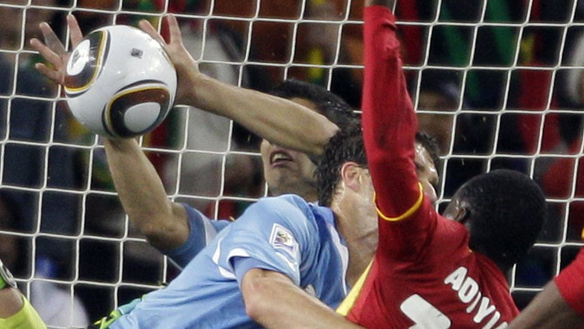 We can’t label Suarez’s hand ball unethical. We can, however, label it bad for the game (just as the pass interference rule is bad for American football). It’s bad for the game when a team can win by breaking a rule. The soccer rule should be changed: the penalty for “intentionally denying a goal by deliberately handling the ball” should be a goal awarded to the other team and the offending player sent off. That will remove a major incentive to violate the spirit of soccer and win a game by breaking a rule. This entry was posted on July 5, 2010 at 6:08 pm and is filed under Ethics-general, Sports. You can follow any responses to this entry through the RSS 2.0 feed. You can leave a response, or trackback from your own site. That’s football.It’s happen in everytime.